The Nissan Rogue has been completely redesigned for the 2014 model year. Improved fuel economy, sleek exterior styling, and improved interior cargo room are just a few of the enhancements to the 2014 Nissan Rogue. The first thing everyone will notice about the 2014 Nissan Rogue is its all-new exterior design. Sleek and sporty, the 2014 Rogue boasts standard 17-inch steel wheels and LED running lights that further enhance its curb appeal. 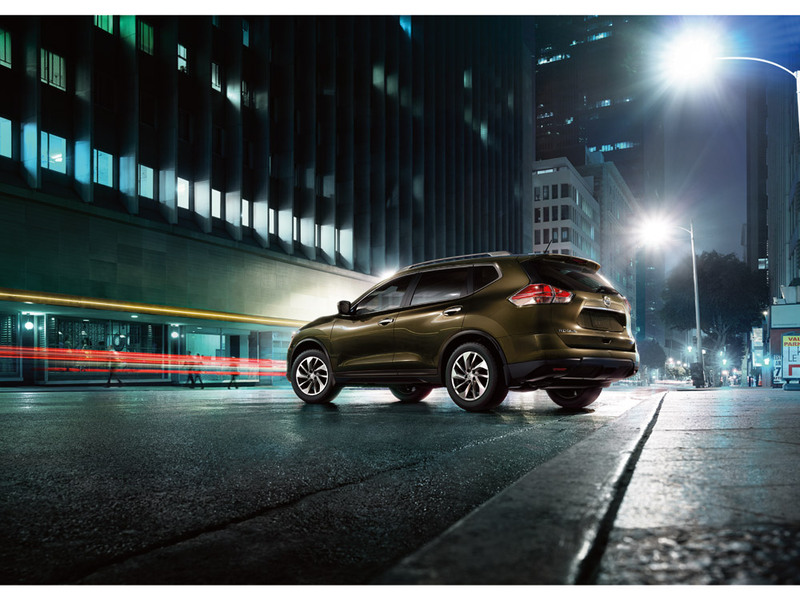 The all-new 2014 Nissan Rogue is powered by a versatile 2.5-liter four-cylinder that generates 170 horsepower and 175 lb-ft of torque. That respectable output propels the Rogue from 0-60 mph in 8.6 seconds. All-wheel drive is available, but front-wheel is standard. The 2014 Nissan Rogue’s 2.5-liter four-cylinder engine offers the best of both worlds, as it returns an impressive 26 mpg city and 33 mpg highway. The complete redesign for the 2014 model isn’t only garnering attention for the freshly-sculpted exterior. Edmunds.com says, “The 2014 Rogue’s interior is notable for its soft-touch materials, generously padded armrests and mature, almost elegant dashboard layout.”Additionally, there is no shortage of technology. The 2014 Nissan Rogue boasts a standard rearview camera, rear climate vents, Bluetooth connectivity, and iPod/USB connectivity. NissanConnect smartphone integration and navigation are also available. This 2014 Nissan Rogue offers one of the most advanced safety suite available, which includes forward collision warning, blind spot monitoring, lane departure warning, and moving object detection.